I went out looking for a toy van and came home with an old vanity case. I’d toyed with the idea of replicating my journey from settler to traveller in miniature, by making a stop motion animation film to document it; it had occurred to me that people might be interested in crowdfunding a film like that. I could somehow use my puppet man as my alter ego, who buys and kits out a van as his home. So, off I set, open to possibilities yet determined. I browsed all the charity shops in London Road and, as I handled some of the toys, ideas bubbled up then popped. 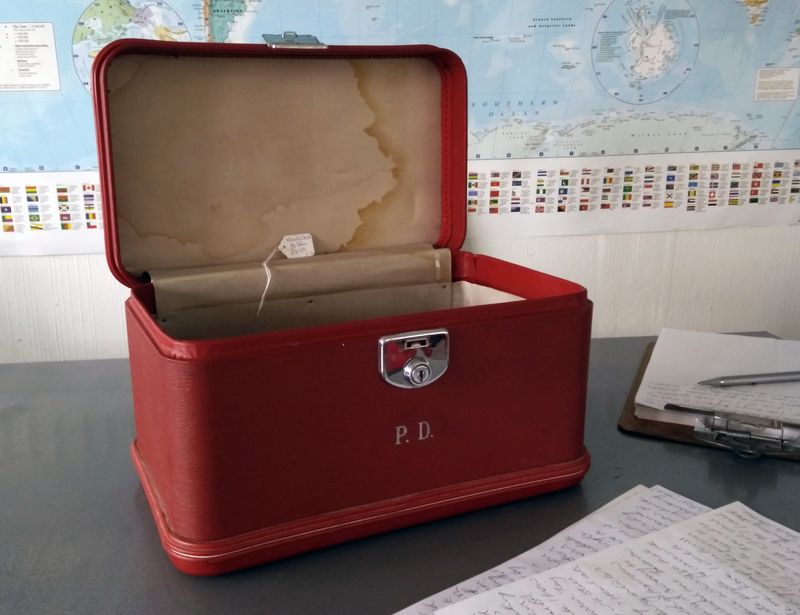 In the last charity shop I gave up; as I made for the exit, out of the corner of my eye I spied a red vanity case sitting on the floor amongst vintage gloves, a wooden address book and some old postcards. “Vanity Case As Seen £4.99”, said the tag and I looked over the case; it wasn’t broken and the clasp worked. Why not? Instead of my puppet man living in a van (or the cage I bought before the course began) he could live in this vanity case. The initials printed on the case, P.D., felt suggestive; suddenly and unexpectedly, my puppet has a home and a name*. Isn’t life sometimes wonderful? 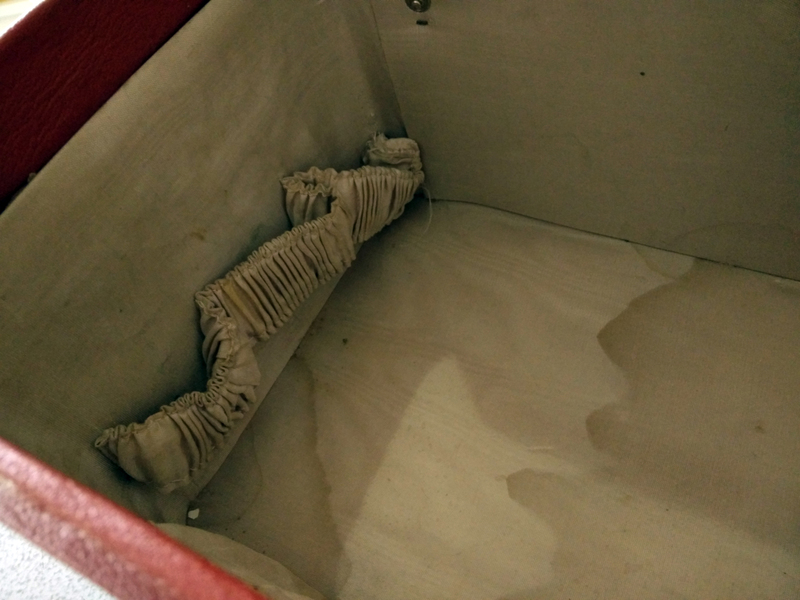 What sort of character lives in a stained, old vanity case? I’m suddenly very excited to find out and I’m feeling much more connected to my puppet man.